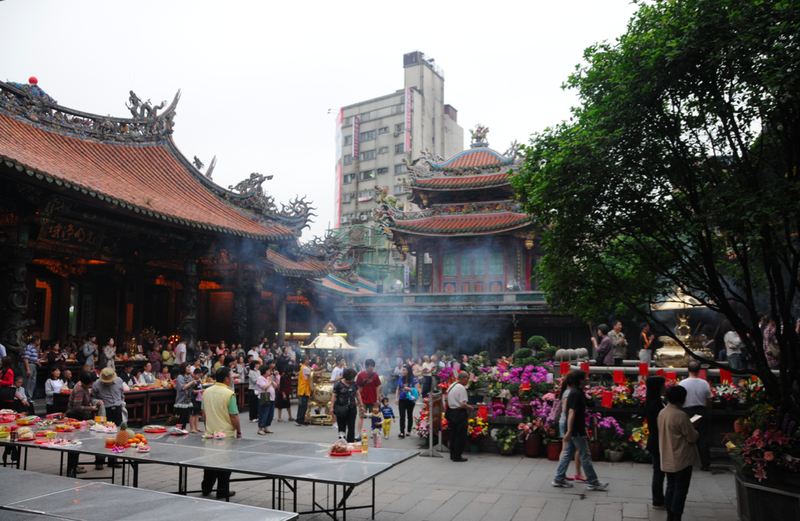 The Longshan Temple is one of the most famous worshipped temples in Taiwan. 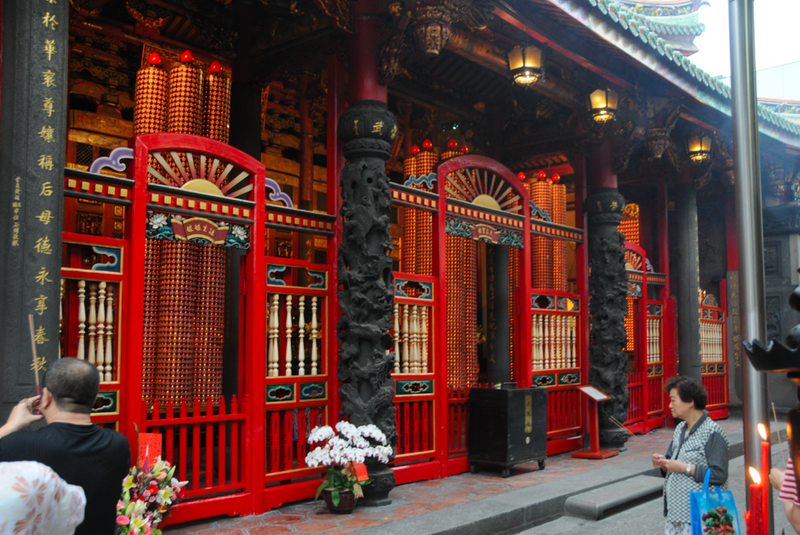 In 1738, settlers from Fujian, China constructed a temple in Wanhua, Taipei on the site where a man left an amulet of Guanyin (Goddess of Mercy) hanging from a tree. Legend has it that the amulet gave off a bright light, even in the darkness and so, a temple was built. 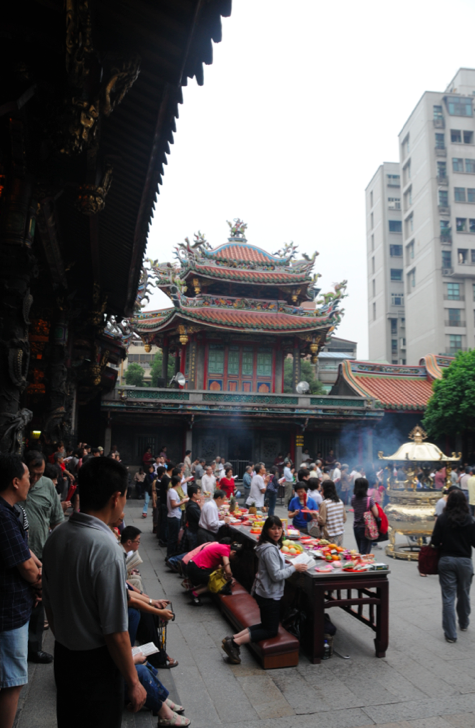 That temple is the Longshan temple. 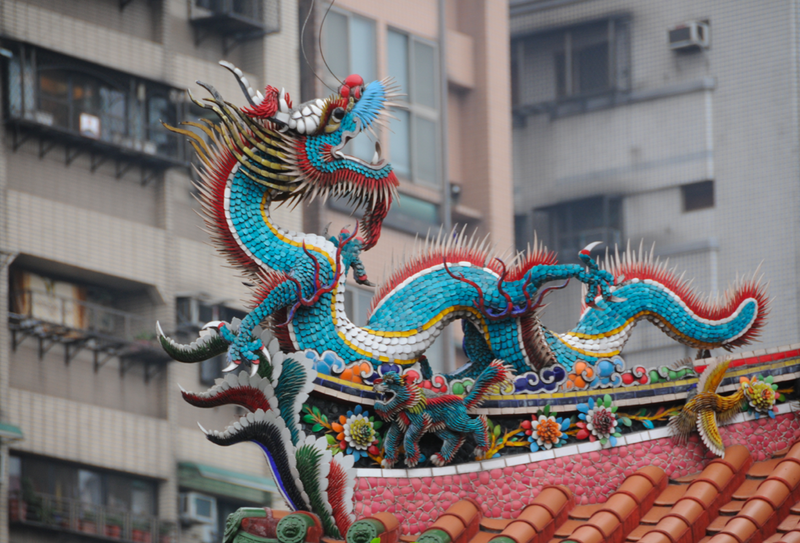 The temple served as a place of worship and a gathering place for the Chinese settlers. The temple has been destroyed either in full or in part on numerous earthquakes and fires. 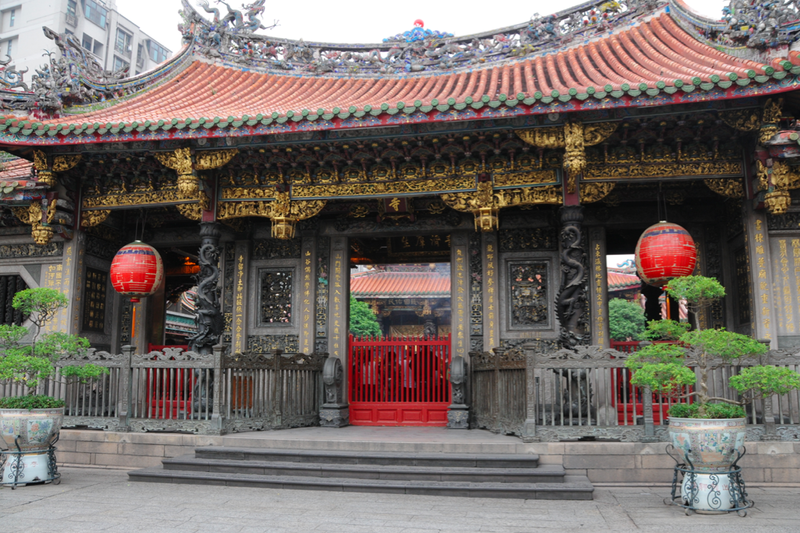 Conceded one of the oldest and resplendent Buddhist temples in Taiwan, it has the best traditional temple architectures of Chinese temples. Built in a three-sectional shaped design with bronze dragons on right and left pillars symbolizing protections to the main hall, and decorations of delicate sculptures, detailed wood carvings and gorgeous Buddha settled in the main hall. Furthermore, with a mass of Chinese poems, verses, and phrases onsite representing values of the religion and Chinese culture. Through visiting this magnificent temple, visitors will have a detailed understanding of Chinese traditional architectures and religion. 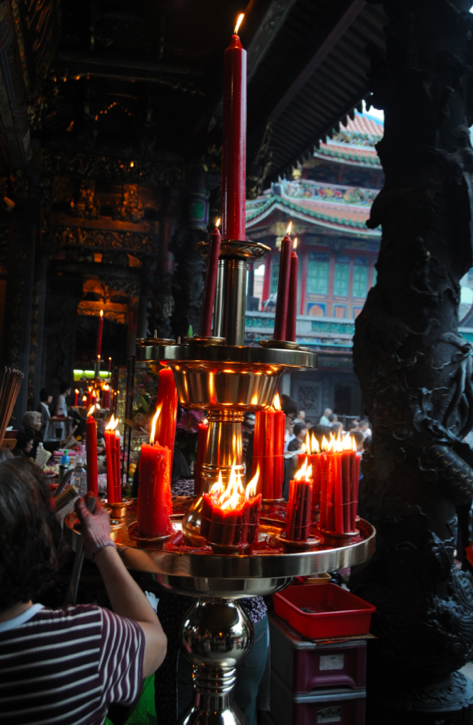 What’s truly wonderful about it, is that despite being a major tourist destination, Longshan Temple retains it’s charm and genuineness by remaining a place of daily worship. 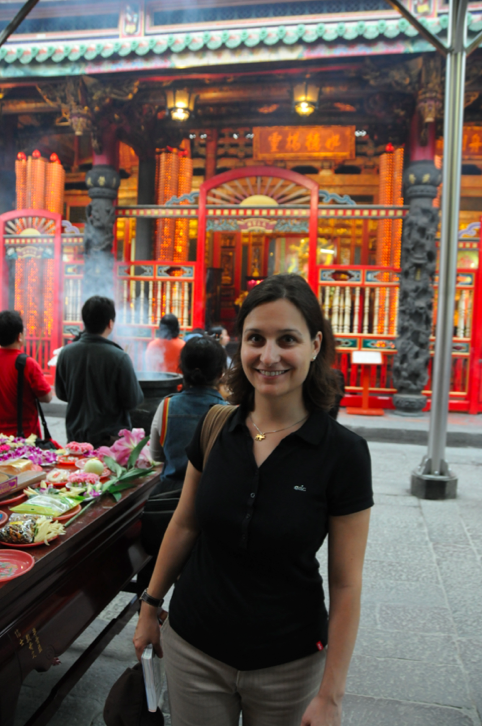 When we visited the temple, we noticed hundreds of people praying and chanting – a very memorable atmosphere! 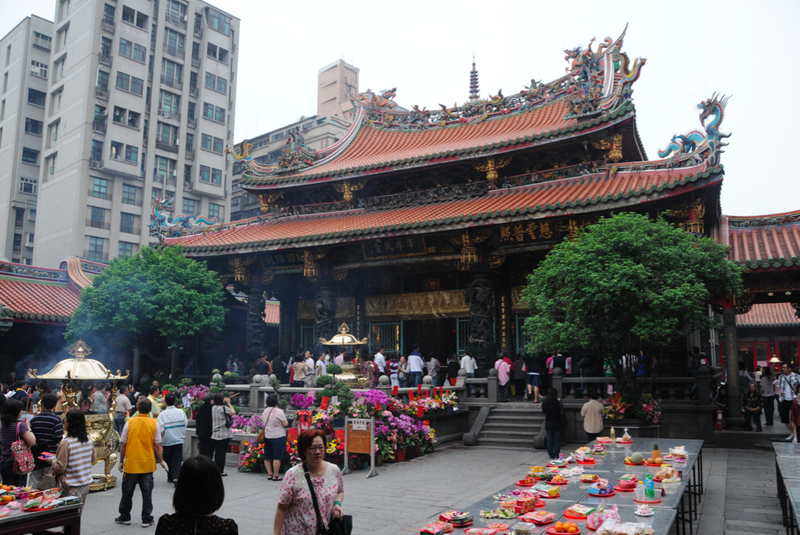 The temple is located outside of Longshan MRT station.